Surf Dive ‘n Ski stock the leading brands for Surf, Skate and Street in Australia and we pride ourselves on exceptional customer service and product knowledge. We have the best styles from your favourite brands including Billabong, Element, RVCA, Seafolly, Tigerlily, VonZipper, Havaianas, Vans, Hurley and many more. 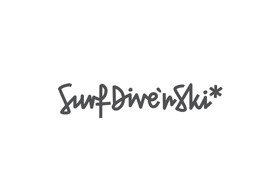 Surf Dive ‘n’ Ski have you covered from the latest in women’s fashion, denim, swimwear and accessories, to the best range in men’s tees, boardies, denim and footwear. Our authenticity is in our DNA, sponsoring Australia’s best surfers and skaters and supporting high profile action sport events as well as grass roots competitions. Roll in to our Chadstone store and join the Tribe!